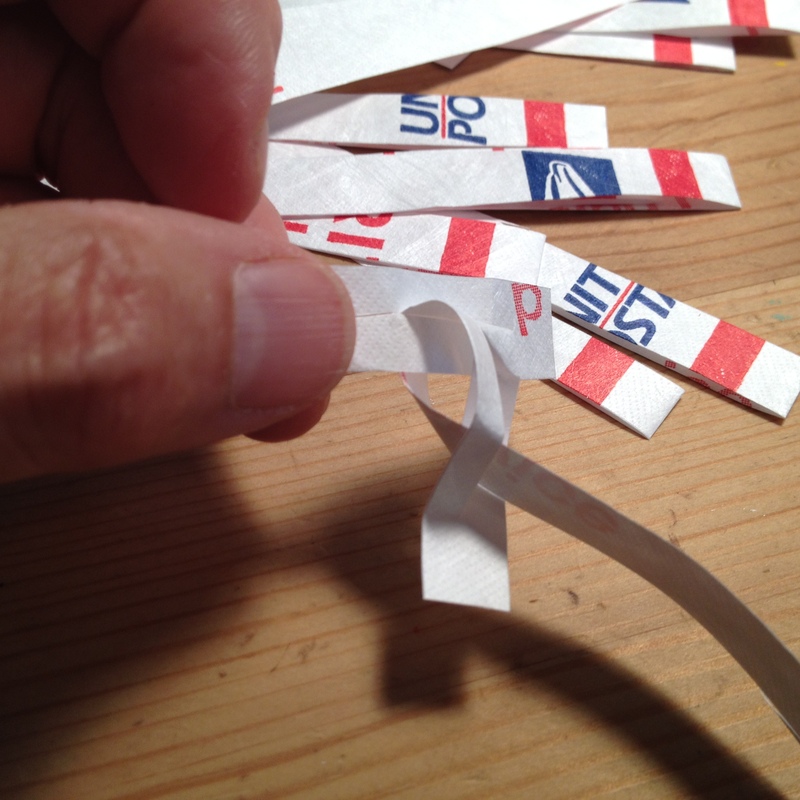 First thing I cut up a Priority Mail envelope into long thin strips. 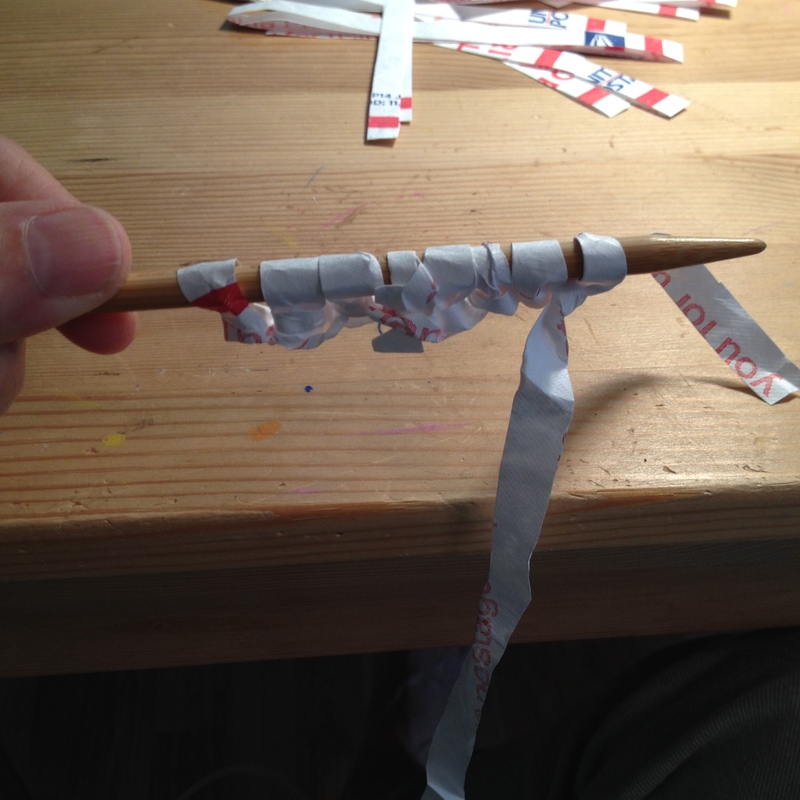 By making slits in both ends of each length you can join them together. Because it is apparently a federal offense to use Priority Mail envelopes for anything other than actually mailing something I thought I better say that I’ve recycled this one. Have you ever tried to rip one in half? I believe it’s made of Tyvek, the stuff they wrap around new houses to keep moisture and wind out under the siding. It’s really strong. I cut long strips and connected them to make a ball of “yarn”. 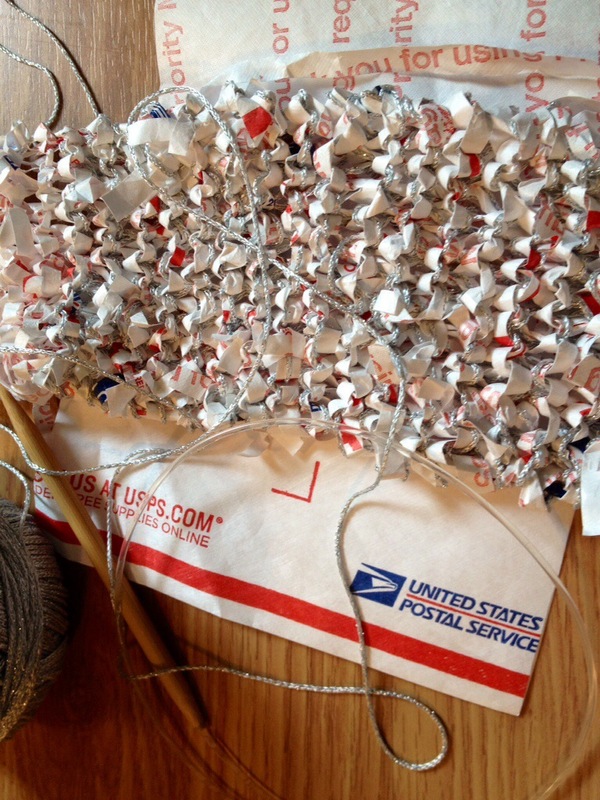 This entry was posted in Uncategorized and tagged Priority Mail envelopes on June 22, 2014 by julesmeans.